I have seen more than a few recipes for this type of method, and reflected on why in the world I have not made this before today? I believe the presentation would be brilliant, and I could fool around with what to stuff it with, I mean, it can’t be that hard right. Then I started reading reviews on what people think of this type of recipe. Most of the time it was bland or dry; I can say mine was neither one of those. 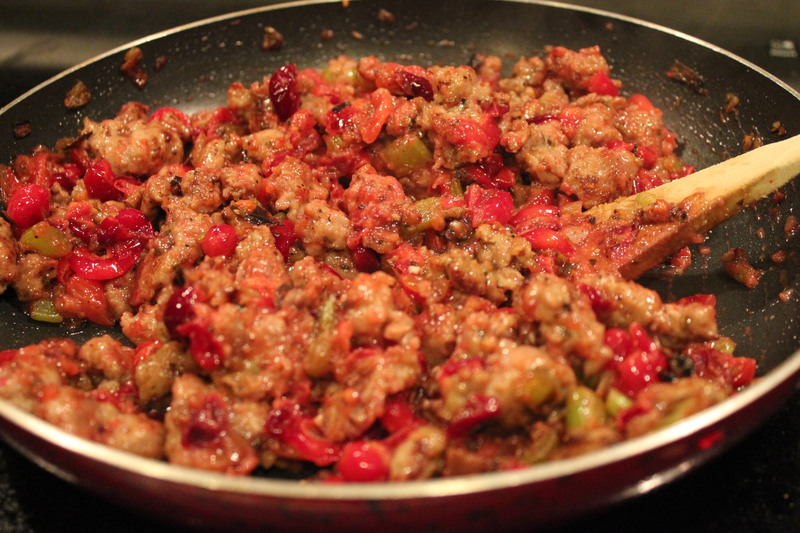 The cranberries added a nice tang, and the sausage was just on this side of sweet! 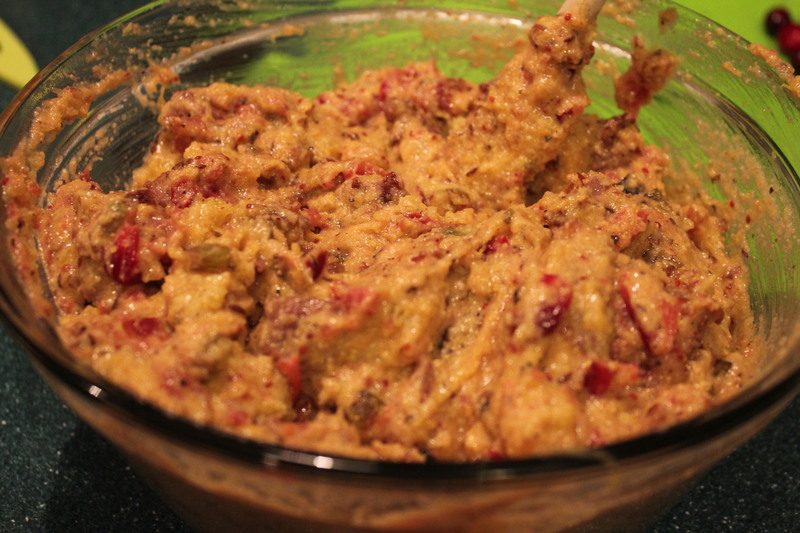 I do recommend tasting the sausage mixture after adding the tart cranberries; it took me a couple of dashes of pepper and salt to get it where I wanted the taste to be. We all have a diverse idea of what something should taste like, so this is the time to put your taste buds to the test. 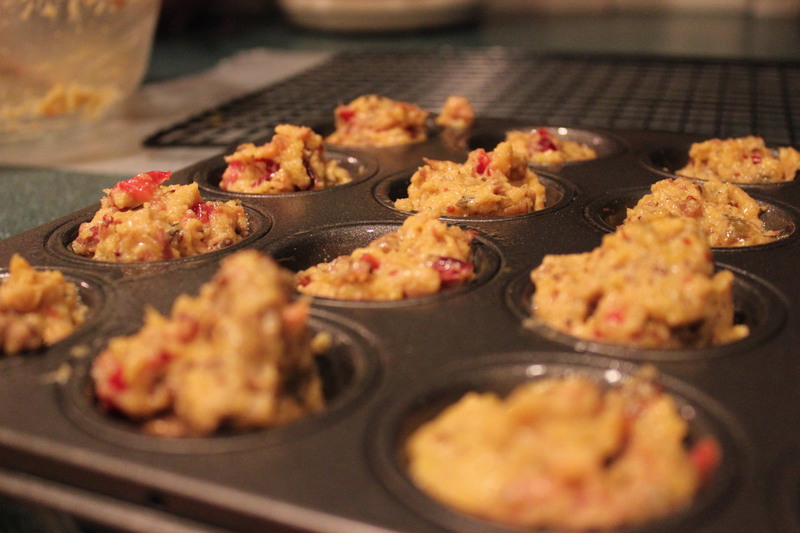 All in all, the entire recipe did not take too long, maybe an hour all said and done. 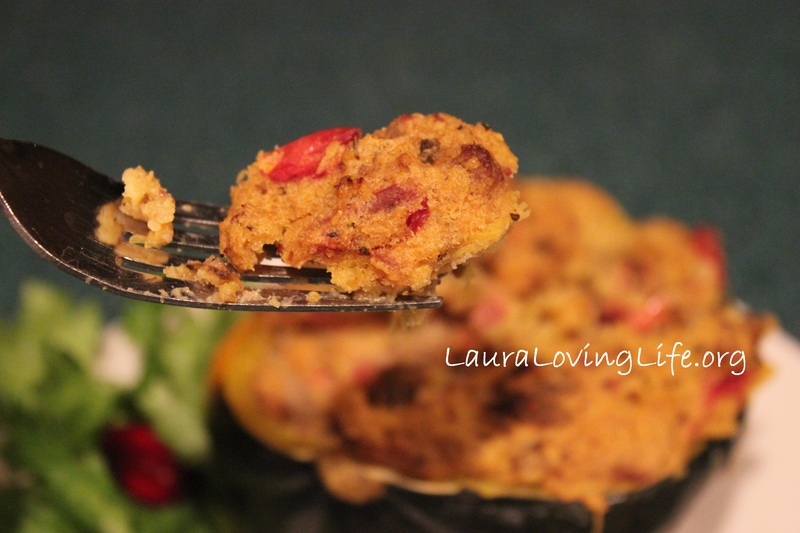 I like recipes like this one where you have time between doing things, I use it to clean and do dishes. 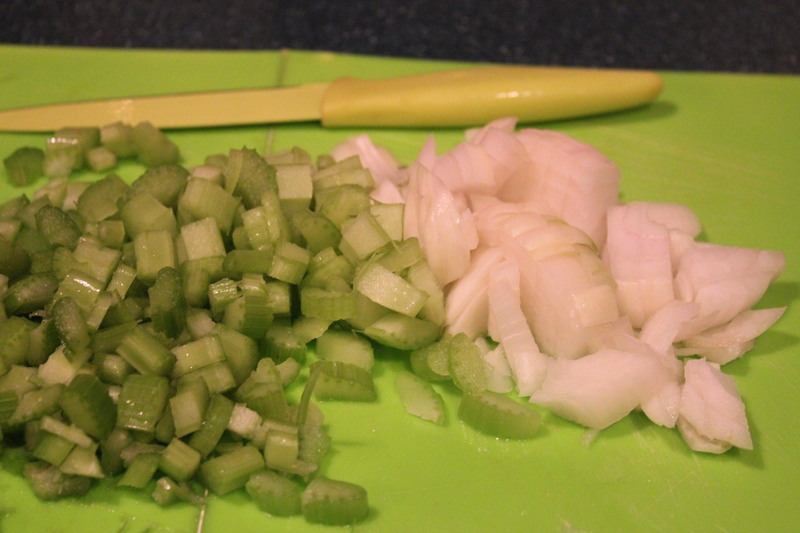 Once I am done and serving the food, my kitchen is back to the way it was before I started. I hate eating and knowing I have to clean, worse is making the mistake to wait until “tomorrow” what a downer. I find cleaning it right away is the way to go for me. I think I may be rambling now… oh well I can do that! 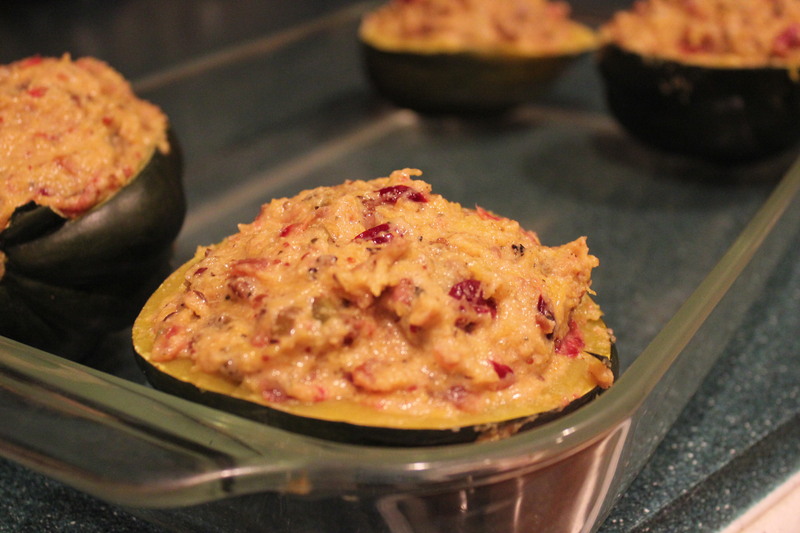 You will need the following for the recipe; it will feed four each a stuffed squash apiece. You can pair this with a side dish, although I did not. I wanted this dish to stand on its own, to be the celebrity of the dinner. And it was. I was thrilled with the outcome. I am sure you will be as well. 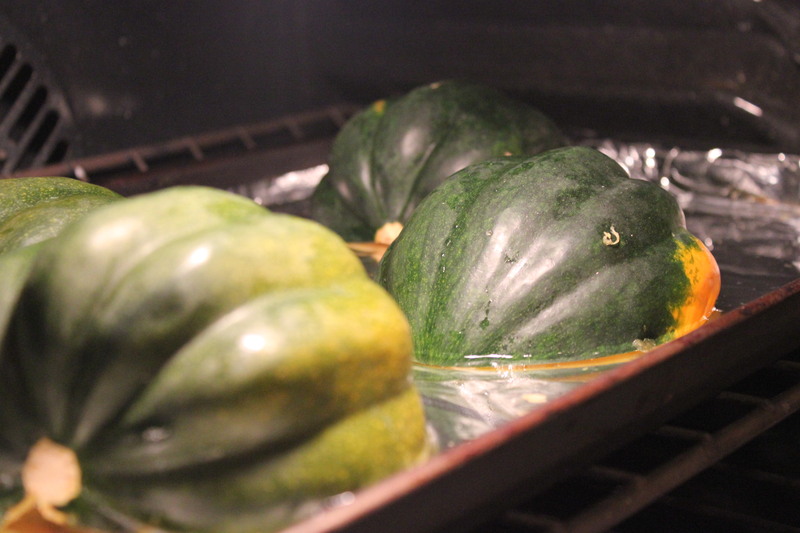 While the squash bakes, heat the butter in a skillet over med heat. 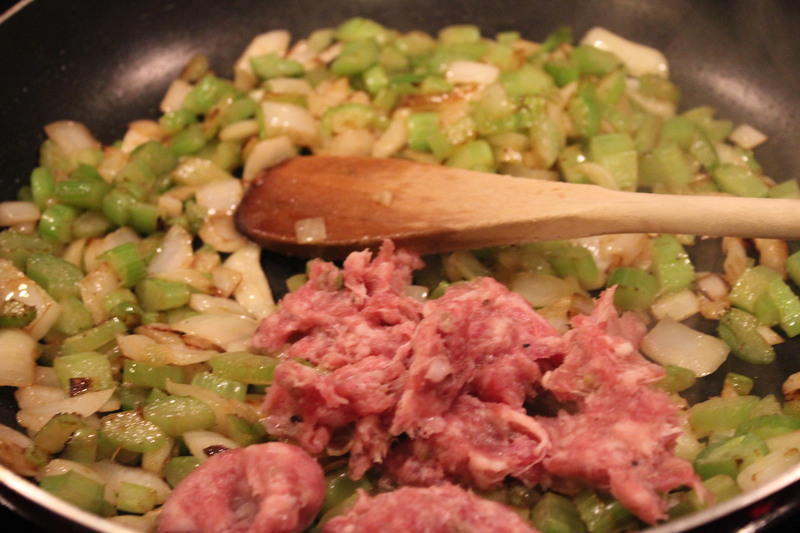 Cook onions and celery until tender, add the sausage and spices (not the Sugar) Cook and stir until evenly browned. 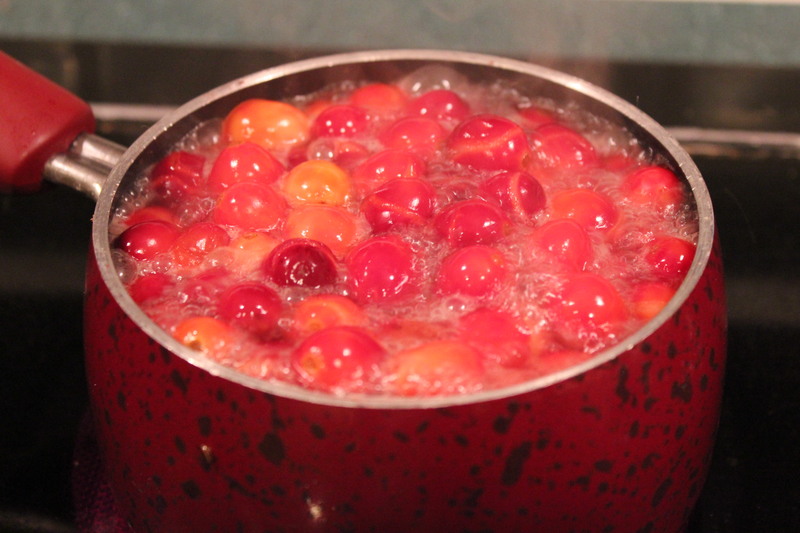 Set aside, boil 1 cup of water and the sugar, and add the cranberries. 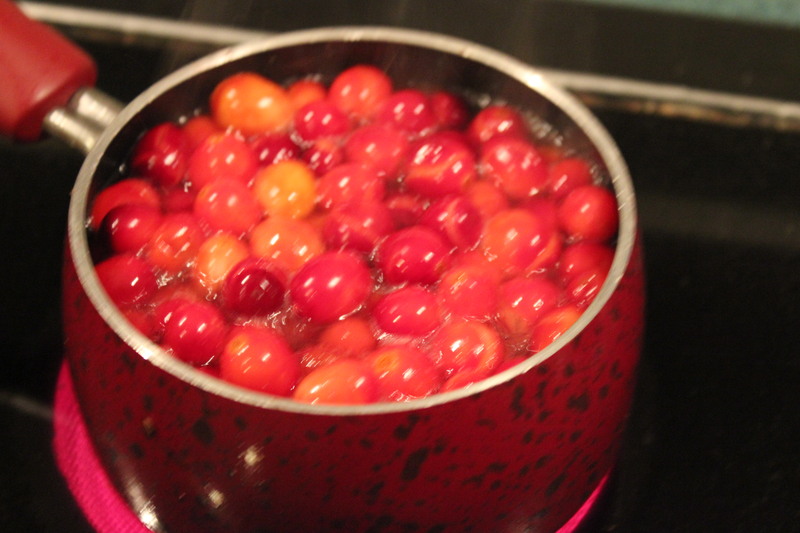 Remove from heat when they have all “Popped” spoon cranberries into the meat mixture and stir. 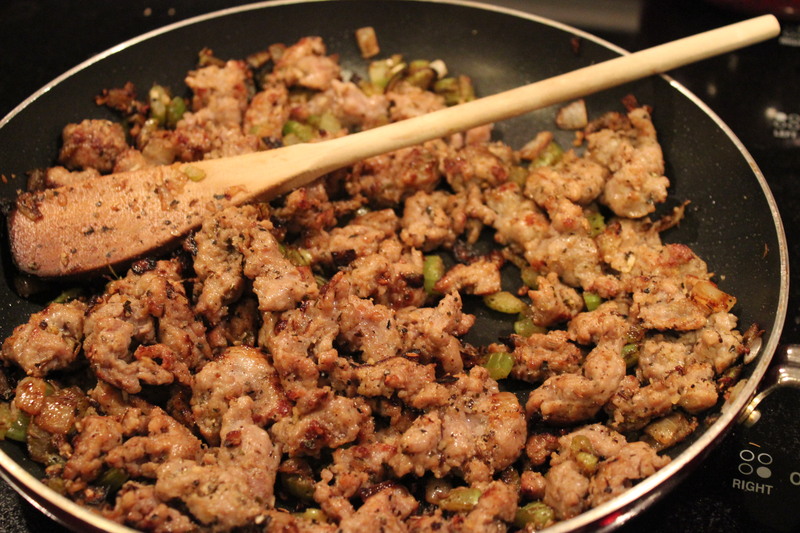 At this time you should taste the mixture to see if you need more salt or pepper to your taste preference. 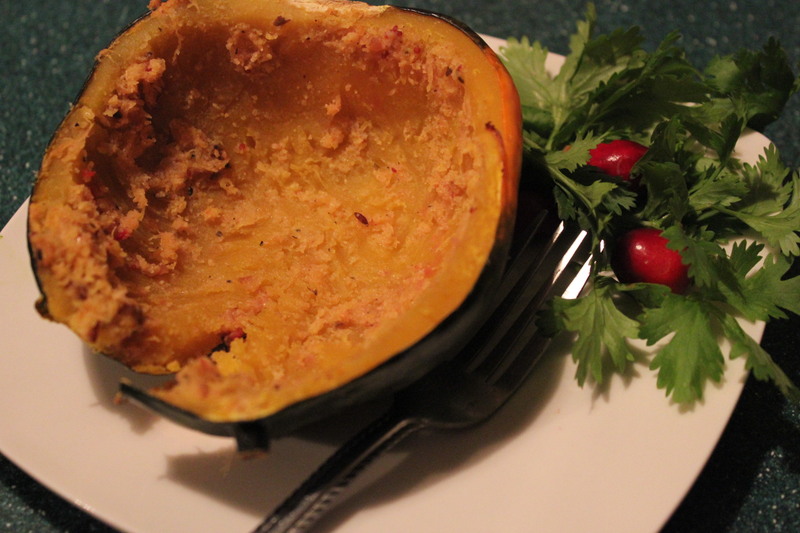 Remove the squash from the oven, using a spoon remove the pulp to a bowl. 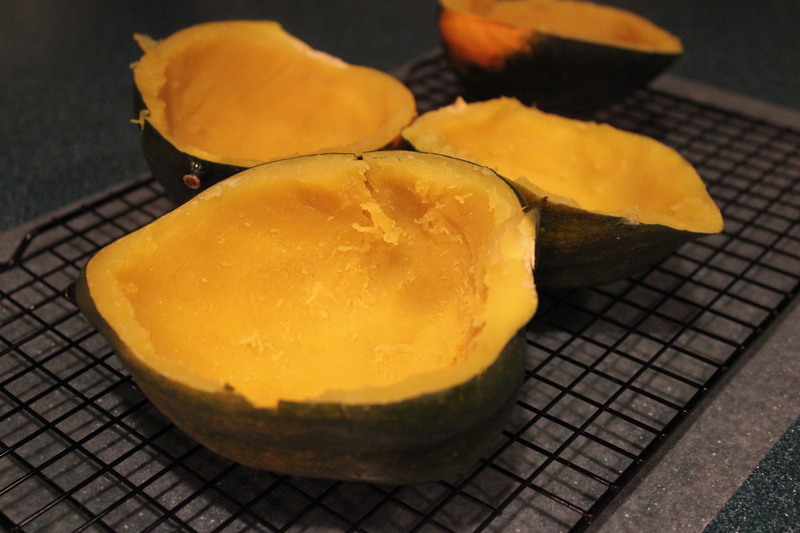 Set the rinds in a glass baking dish. 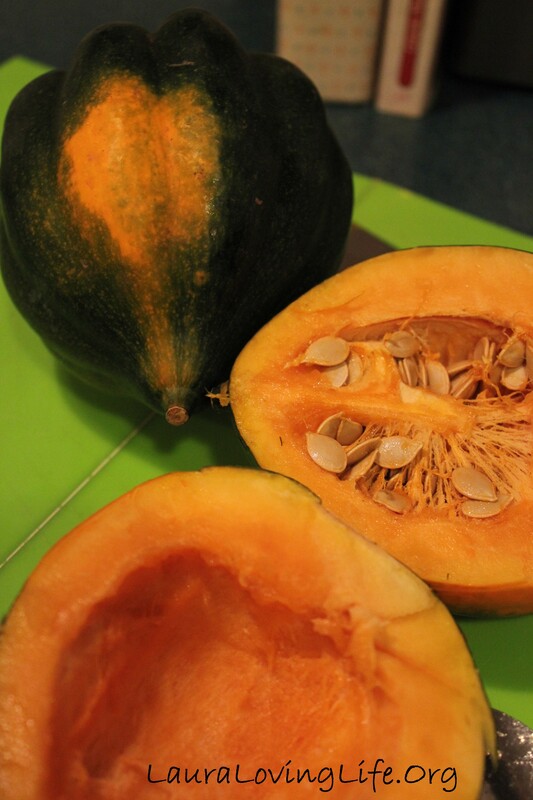 The pulp should be moist and soft. You should be able to mix it with no problem. No need for a mixer just a spoon. 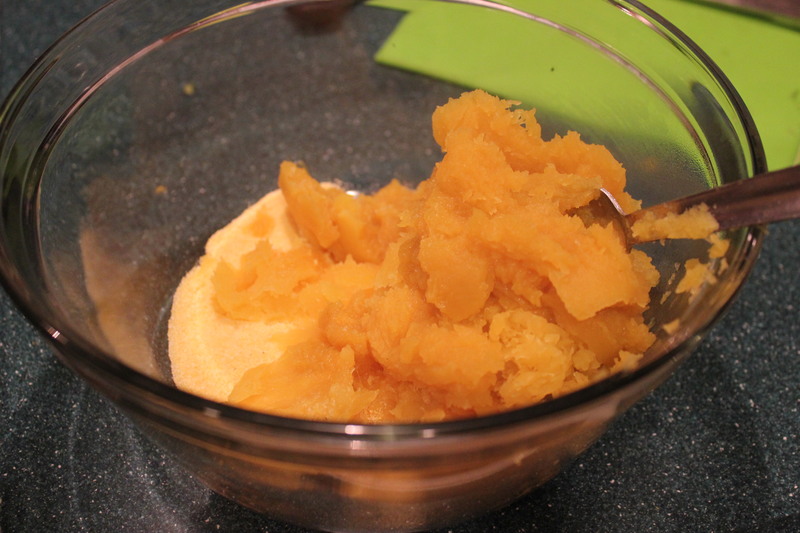 Add the eggs, 1 pat butter and the polenta. 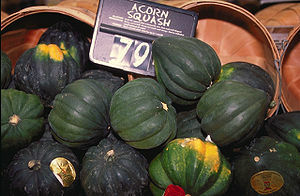 Now understand the pulp can’t be measured, I don’t know what size squash you have and how much it will yield. 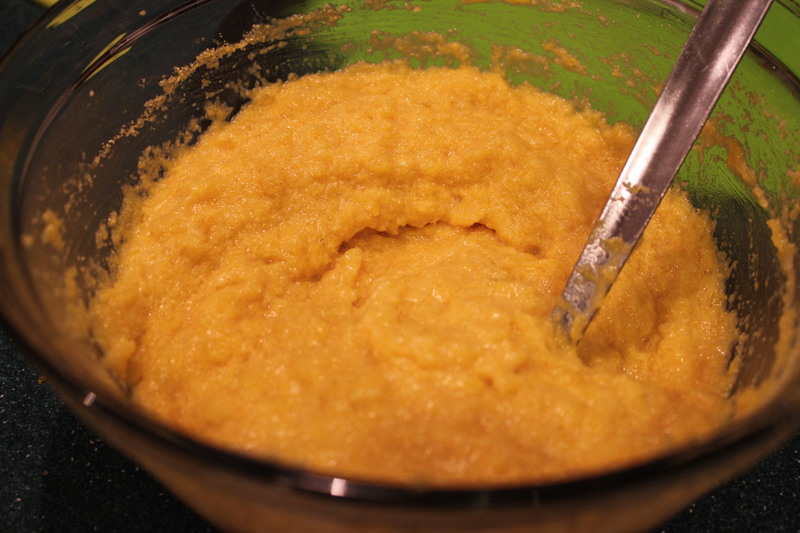 If the mixture is to watery add more polenta. 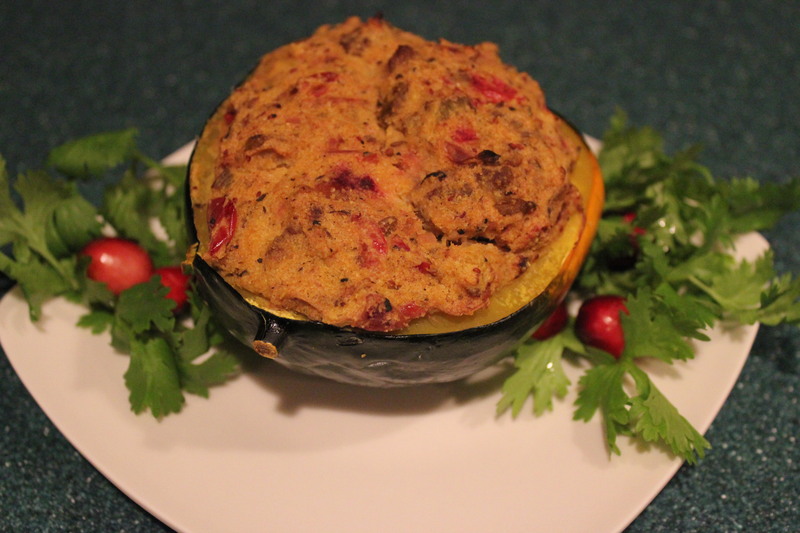 Add sausage mixture to the squash and incorporate well. Scoop into the rinds and bake for 25 minutes at 375. 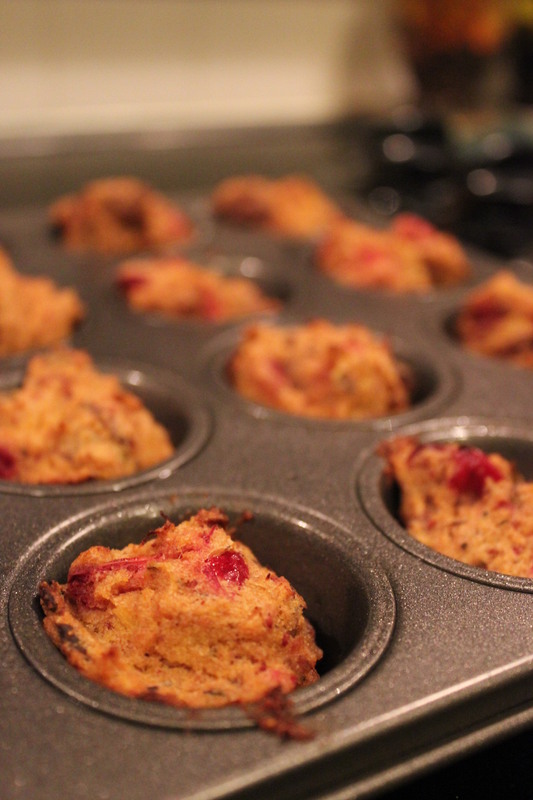 I had a bit extra stuffing so I put them into little muffin cups and baked at the same time. Yummy. I know this was good when all the plates came back like this!! 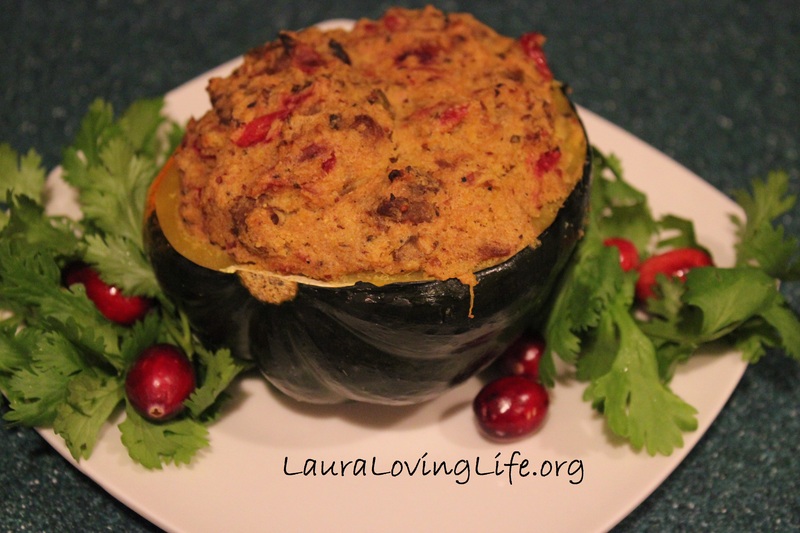 One of my favorite vegetables to stuff. 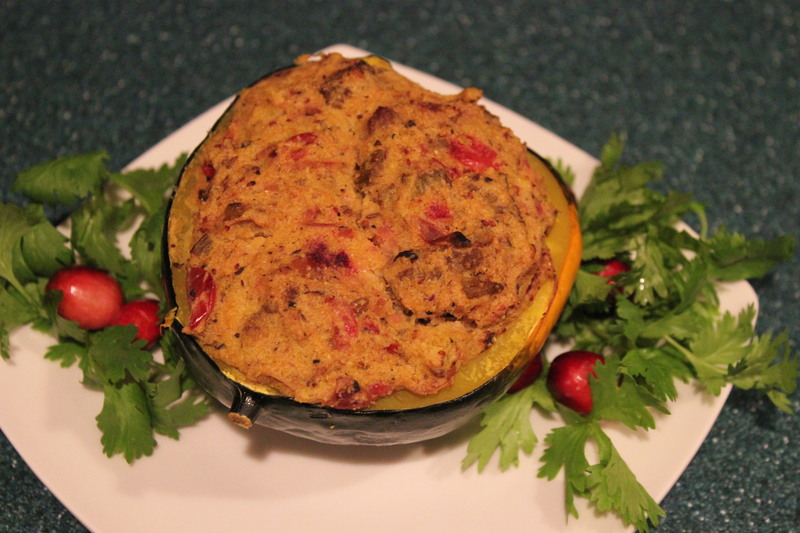 I like your stuffing mixture. I have never done it before. It was awesome. And so perfect for this time if the year. Thank you for commenting. I really love all your pictures. I’m a picture person too and to see the different steps is always helpful.